Being a working movie critic opens you up to plenty of feedback, because, face it, when it comes to movies (as opposed to dance, architecture, art, wine), everyone actually is a critic. And that’s fine. It explains why I’ve been hearing a lot about two current movies, “Roma” and “Green Book,” in reader e-mails and personal interactions. The former is a critical favorite that is playing in independent theaters but is also available on Netflix; I gave it four stars and a wet kiss of a review, which has prompted several readers to write in and wonder what the big deal is. They’ve watched it, it’s . . . all right, but are they missing something? Maybe they are, and that something might be their attention. 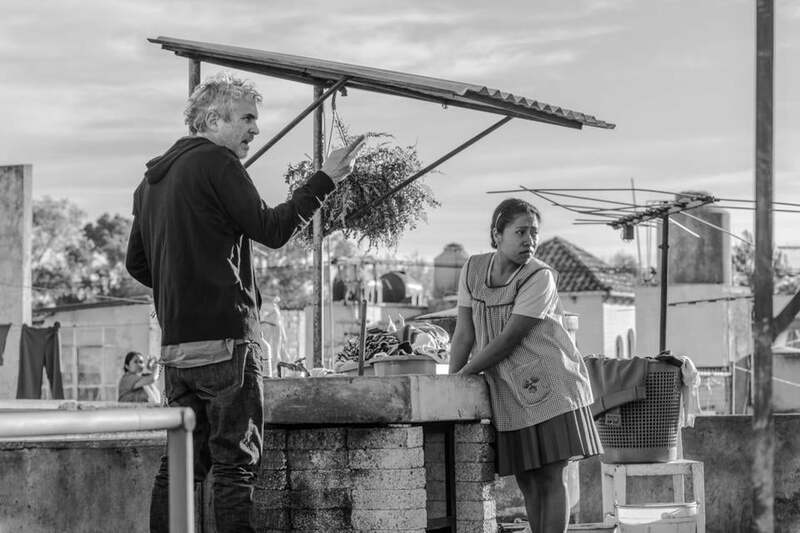 “Roma,” a gorgeously photographed black-and-white memory play about a nanny (Yalitza Aparicio) to a middle-class family in 1970 Mexico City, is an immersive story rather than a plot-driven expository affair. Things happen but as beads on the string of a quiet, subservient heroine’s life; you only sense the larger picture and its ironies toward the end or after the credits. And while that’s comparatively easy to do in the dark of a movie theater, most people are watching “Roma” via Netflix on TVs or their computers, with the lights on, while checking their phones or talking with family members. Which is a disservice to a contemplative work that asks a viewer to really see the strength of an unnoticed woman, and the love and exploitation that envelop her. Some movies you need to lean into and meet halfway — maybe more. This is one of them. There’s something else that might be missing from “Roma” for some viewers, but let me get to that in a roundabout way. I’ve lost count of the number of people who’ve come up to tell me how much they lovelovelove “Green Book” — how good it made them feel, how hopeful about the state of the world. I saw the movie for a second time in the company of a dear friend, after which she said, “That was the most enjoyable film I’ve seen in ages.” And I smiled and kept my thoughts to myself because who wants to take that away from someone? Who wants to be told, as another friend at a New Year’s party defensively said, that she’s not “supposed” to like a movie? Well, you like what you like, period. Does it spoil the fun to think about why you like what you like? Probably. I’m writing this column to sort out my thoughts in a way that I’m too polite — all right, too chicken — to do in person. 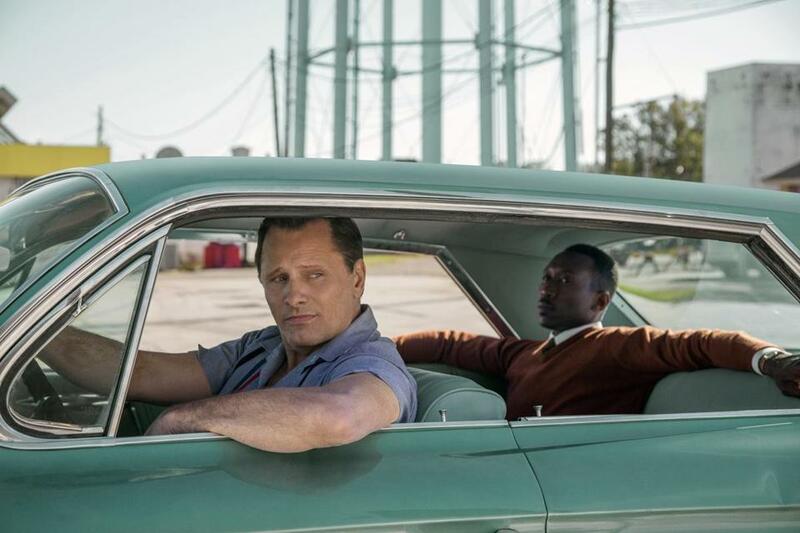 “Green Book” is a civil rights-era drama about a friendship between a white Italian-American chauffeur, Tony “Lip” Vallelonga (Viggo Mortensen in a big, juicy hambone of a performance), and Dr. Don Shirley (Mahershala Ali), a meticulous, stiff-backed African-American piano virtuoso who Tony drives around the Deep South during a 1962 concert tour. It’s worth asking why the movie feels so good — or, rather, why the progressive older white audiences that seem to respond so strongly to the film enjoy it so much. Why the movie just won a Golden Globe for best comedy or musical and why it’s on track for a lot of Oscar nominations. “Green Book” has been directed by Peter Farrelly, better known for gross-out comedies like “There’s Something About Mary,” as an entertainment with a message. With a script co-written by Nick Vallelonga (Tony’s son and the project’s prime mover), the film turns clichés on their head, or appears to. The white character is the servant, the black character the employer. The white guy is a genial working-class lummox, with casual racism presumably accurate to his time and class; the black guy is educated, well-read, well-spoken, not at all what the white guy is expecting (although we in the audience are supposed to know better; that’s part of the movie’s intended backhanded charm). And after the white guy teaches the black guy how to enjoy fried chicken, Little Richard 45s, and the pleasures of other black people at a Southern roadhouse, the movie’s implicit message is that maybe the white guy is better at being a black guy than the black guy is. There are so many unexamined notions in that calculus that it’s a wonder a viewer’s head doesn’t explode. But “Green Book” works for white moviegoers because it flatters them on a number of levels, not least by putting them in the shoes of a gregarious goombah (with the exception of Tony’s wife, played to perfection by Linda Cardellini, the film’s Italian-Americans are broad, loud, lovable cartoons) who steps up and protects a helpless victim of a racist society. We know this story line. We’ve seen it before and applauded as it has won Oscars. “The Help,” “The Blind Side,” “Mississippi Burning” — one reason certain audiences adore “Green Book” is because it’s so familiar. A buddy movie in which the white character assumes center stage as a prime mover of consciousness raising and righteous pushback, it seems poised to win the Academy Award for best picture of 1988. In “Green Book,” Tony is the savior and Dr. Don is the tragic genius who needs saving, an intellectual babe in the woods who broadens Tony’s worldview but who’s also estranged from his people and an unseen (and presumably “normal”) brother. Eventually he joins the warmth of Tony’s Bronx extended family in the “It’s a Wonderful Life”-style finale. It’s a nice story. Should it matter that Shirley’s relatives take serious issue with it? Vallelonga has said in response that he did eventually speak with Shirley before his death in 2013 and that the musician confirmed Tony’s version of events and their relationship while instructing him to not interview anyone else and to make the film only after his death. It’s well known that all fact-based movies fudge the line with fiction; otherwise they’d be pure reenactments. It’s up to the individual viewer to decide where the line is that separates legitimate rejiggering in the interests of narrative efficiency from rewriting the facts and the spirit of the matter. The Shirley relatives’ objections to “Green Book” strengthen misgivings I already had with the movie — the sense that Don Shirley is less a character than a dramatic device in a story of racial brotherhood that’s seen primarily from a white character’s point of view. Is that what “Green Book” is actually about? A fantasy of white moral probity at the expense of unique, lived black experience? A way to smooth away lingering guilt and to feel that at least people “like us” — the broader audiences for whom the driver serves as a stand-in — didn’t sit on the sidelines, that we made things better? That the civil rights struggle was about us, too? And here’s where I wonder if the problem some viewers have with “Roma” — why they may find it difficult to connect with the film — is that there’s no version of Tony “Lip” Vallelonga in that movie. It would have been easy enough to do: just beef up the role of the oldest son (Diego Cortina Autrey), give him a narrative track and a richer emotional life, and frame the life of Cleo through the sentimentalizing eyes of someone “like us.” It might have made for a more enjoyable film, and also one that was measurably worse than the film that exists. One that puts more importance on the viewer than on the person supposedly being viewed. Roger Ebert famously called the movies an ”empathy machine,” meaning they can be an unparalleled medium for understanding someone who is not “like us.” If you turn down the world’s noise, you might be able to find that in “Roma.” “Green Book” literalizes the idea with a fantasy in which a representative of “us” is inserted into and made the center of another man’s biography. You might say we need such fantasies if the world is ever to change for the better. But what if the fantasy looks decidedly different when seen through the eyes of the other fellow? The other fellow was certainly no shrinking violet. Edwin Shirley tells of being with his uncle when the latter once yanked a racist hotel clerk across the counter by his necktie for a good talking-to. Maybe Don Shirley didn’t really require the services of a Tony Lip. So why do audiences and awards voters prefer the story in which he does?